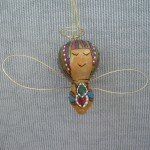 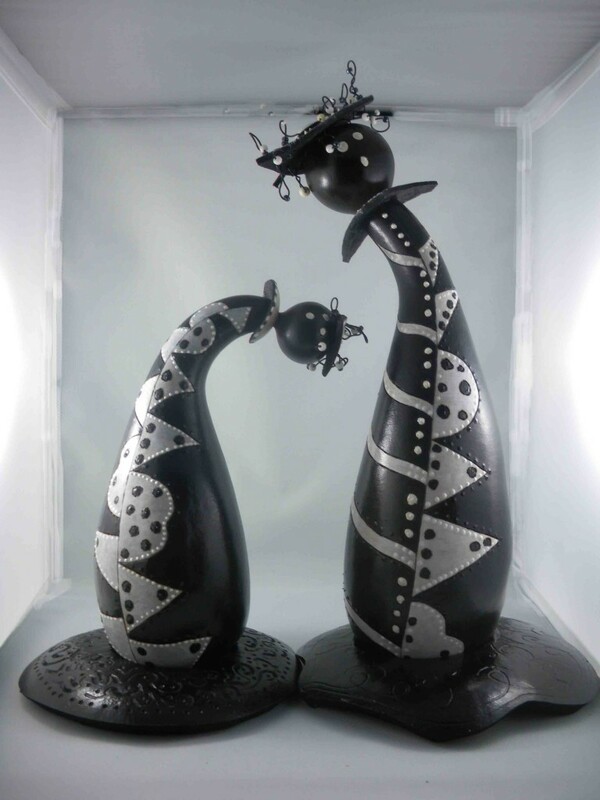 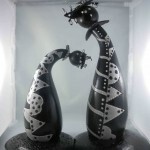 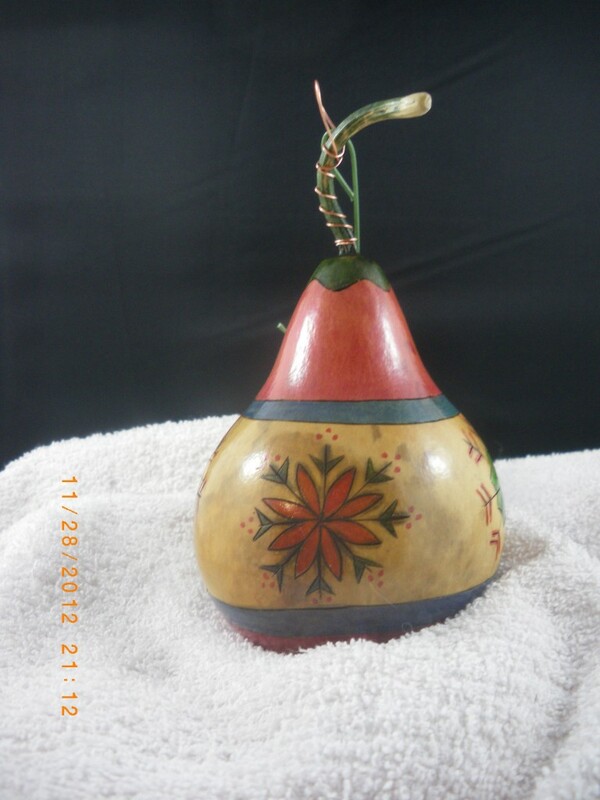 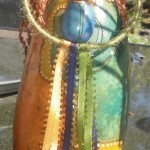 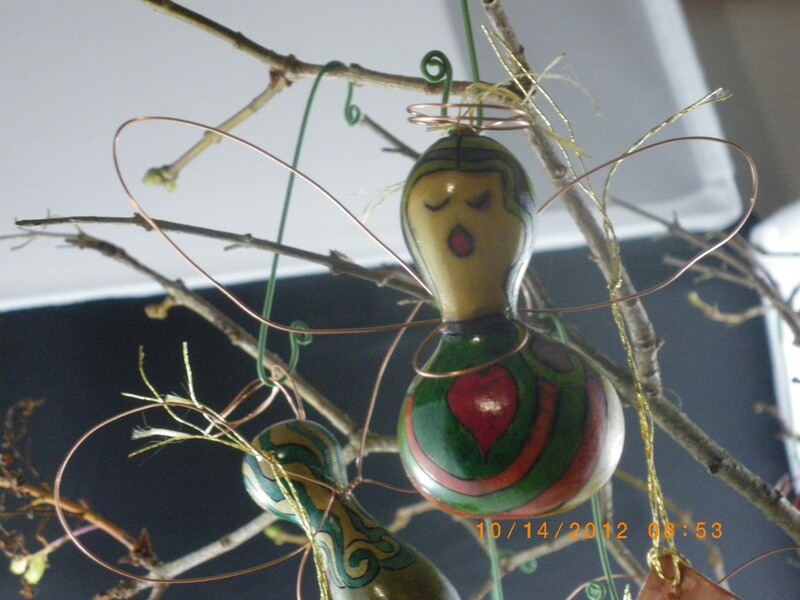 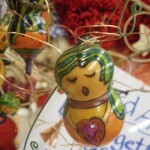 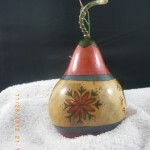 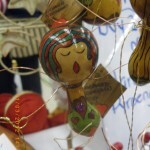 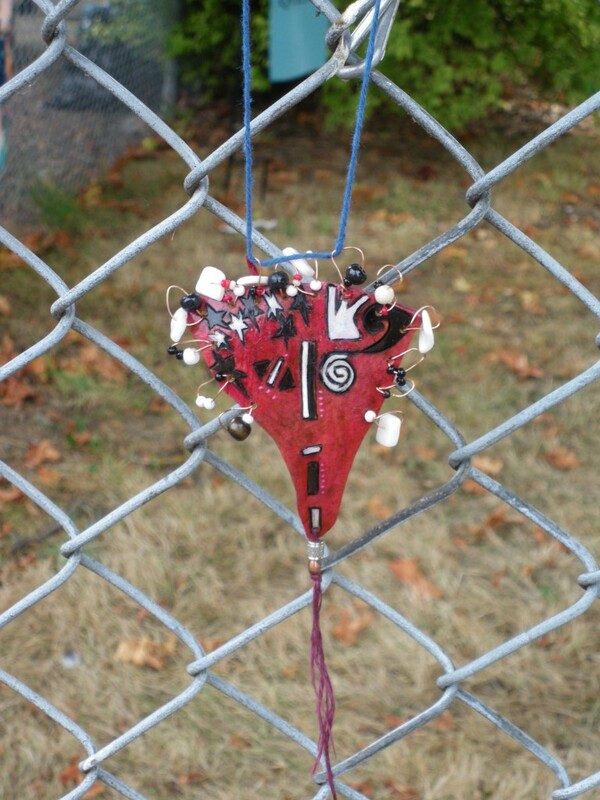 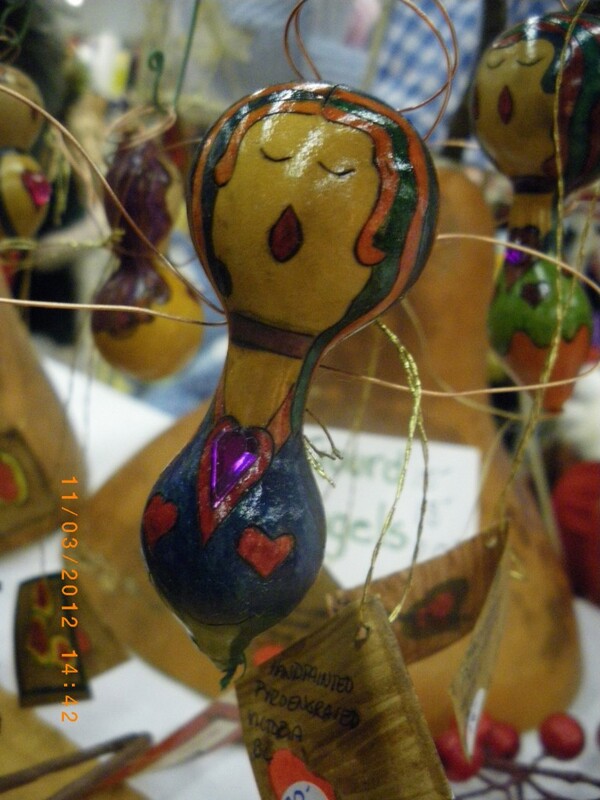 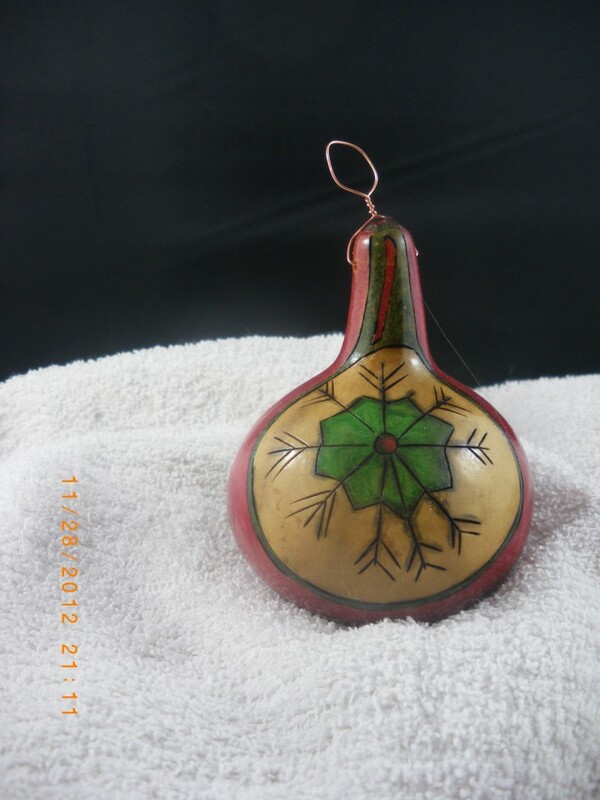 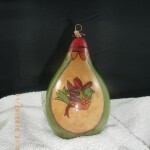 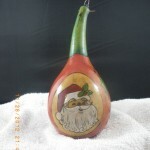 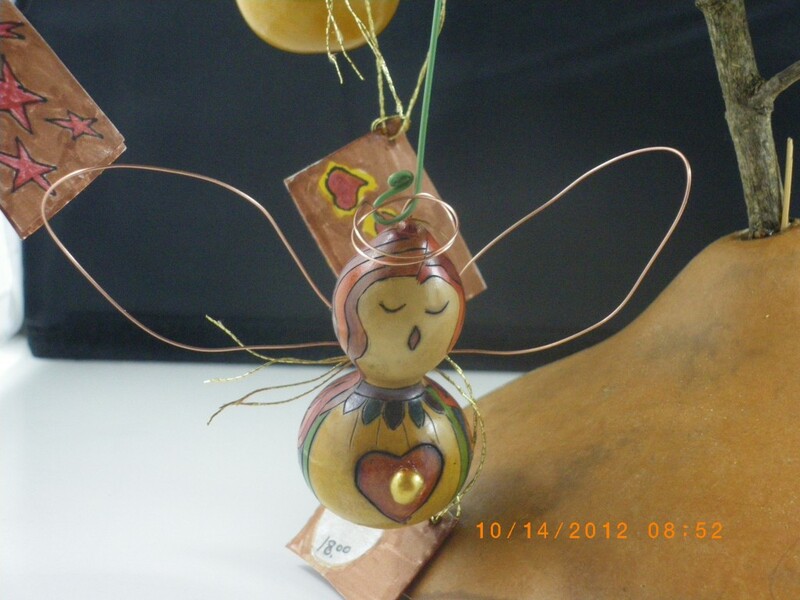 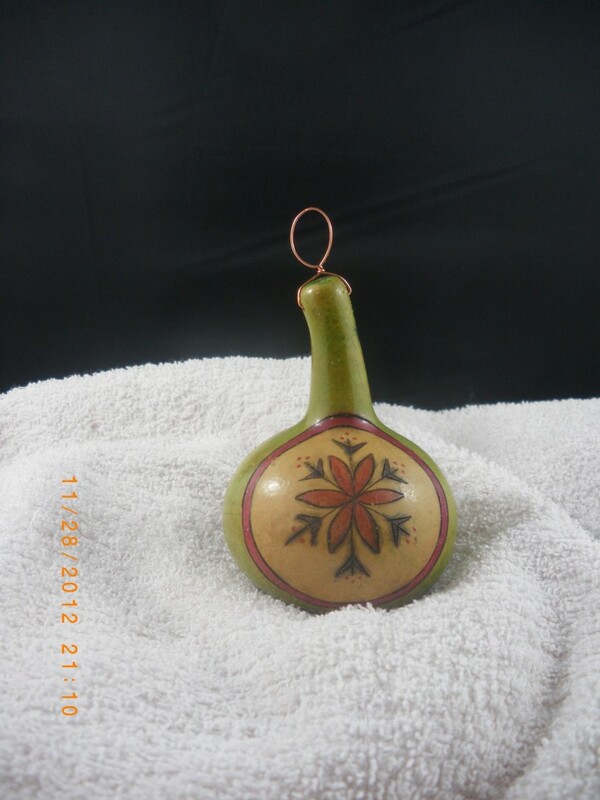 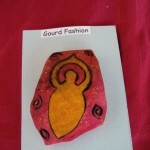 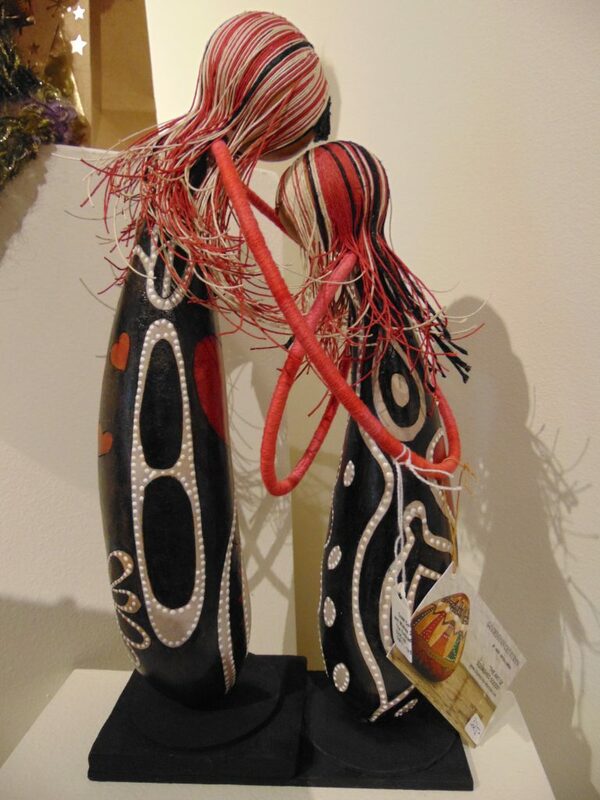 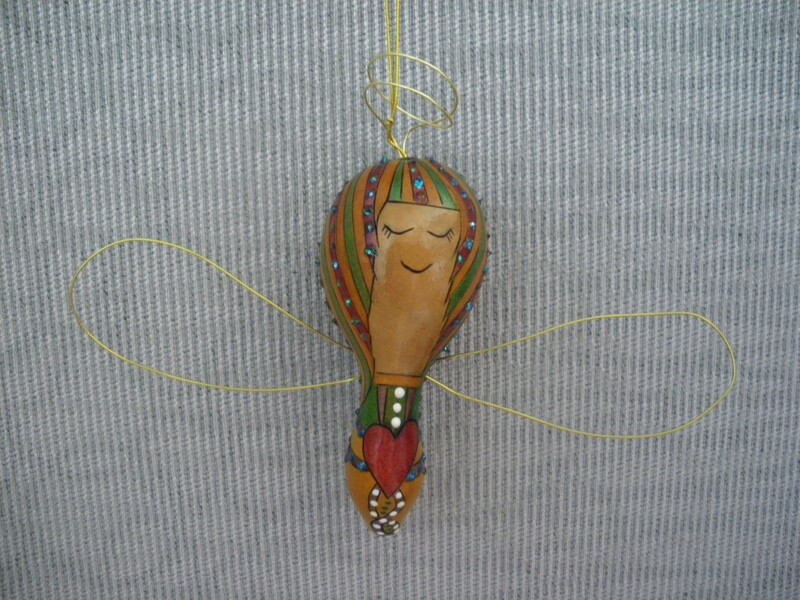 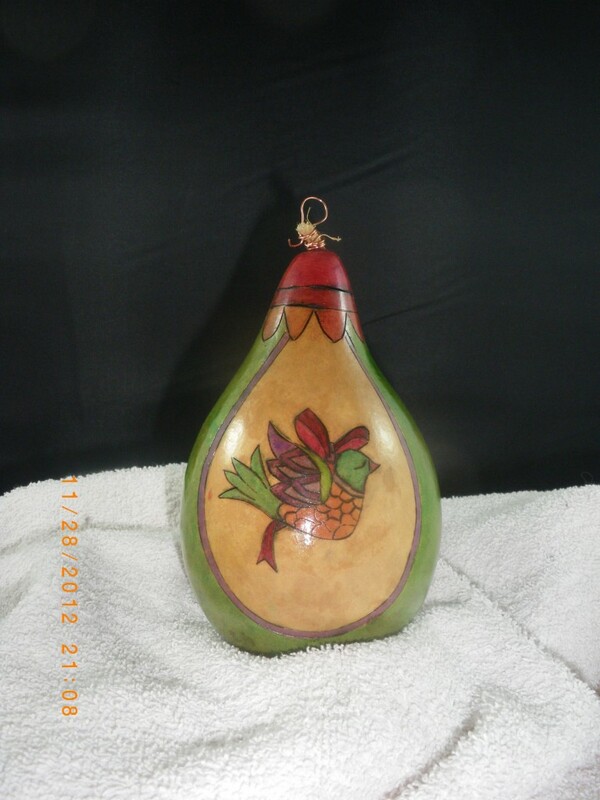 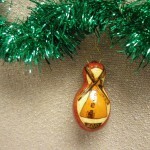 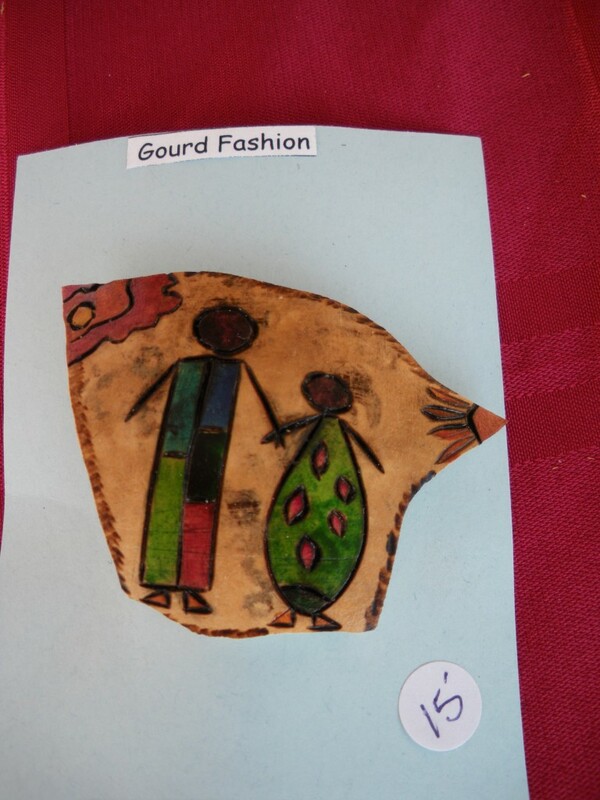 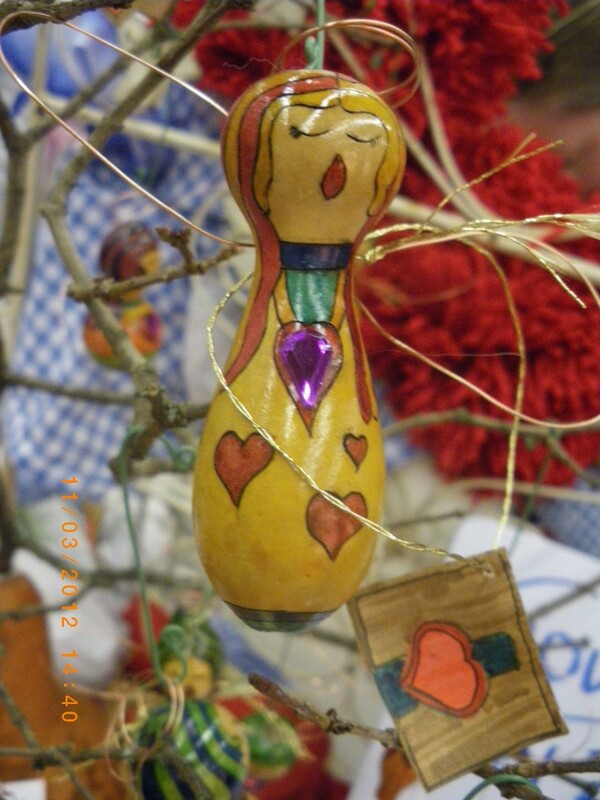 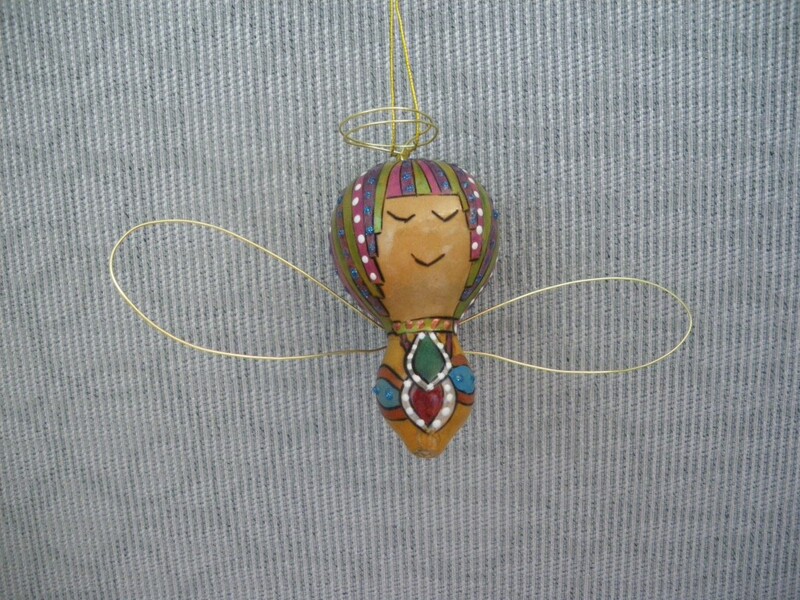 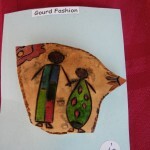 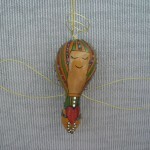 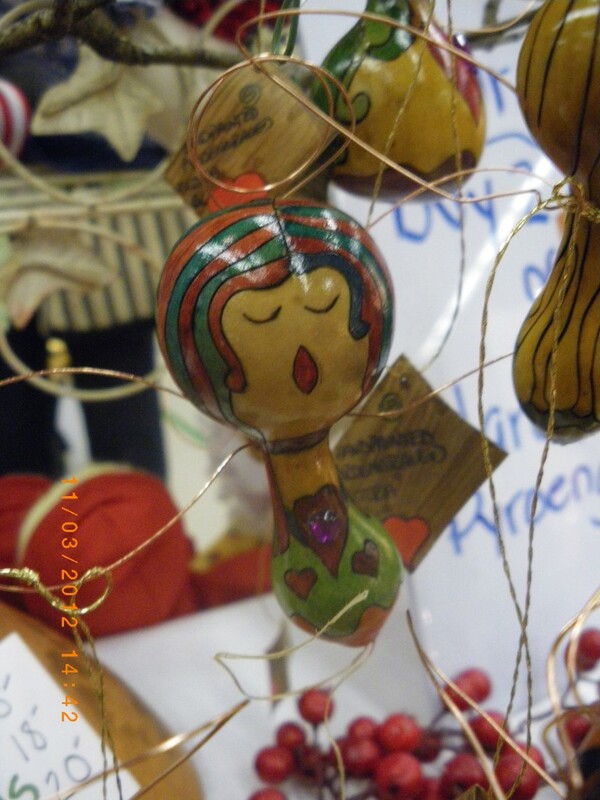 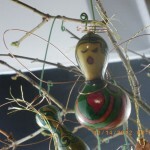 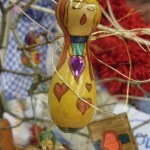 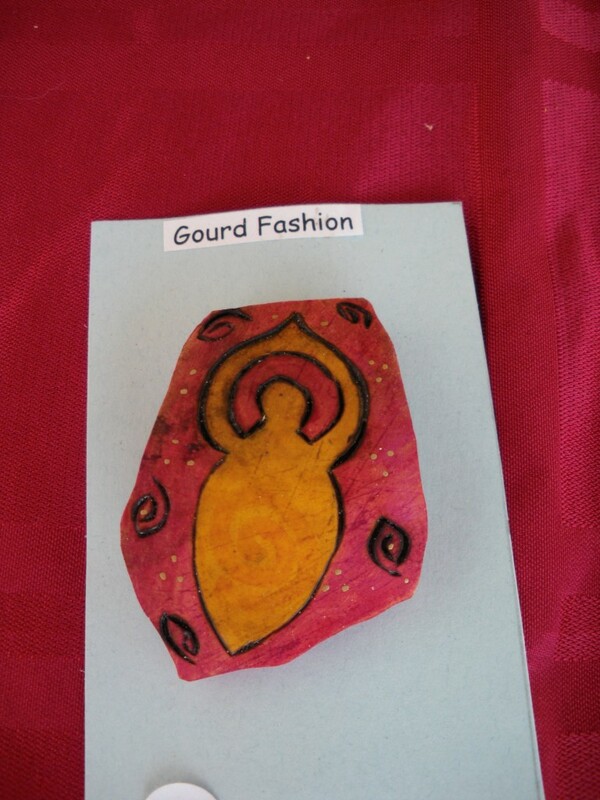 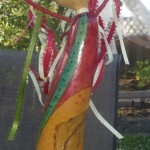 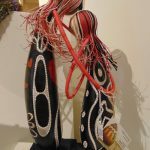 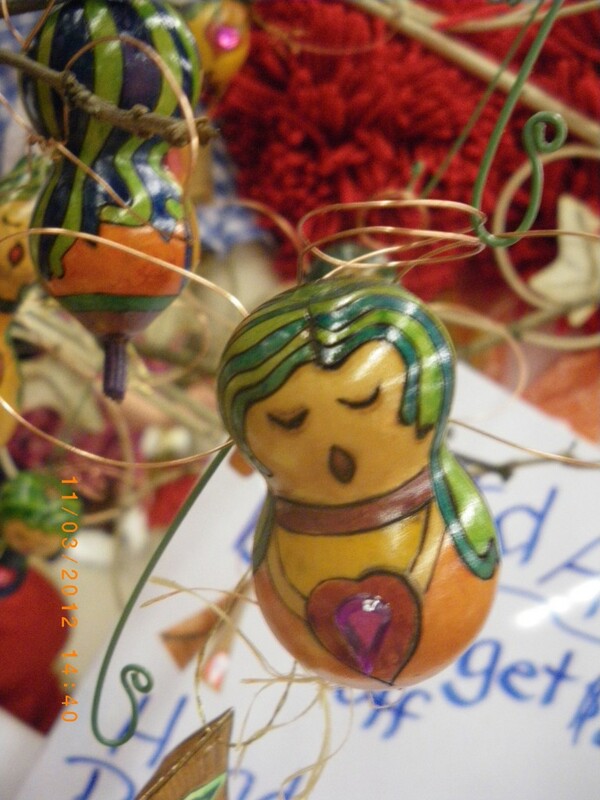 The figurines are made from gourds and have been decorated with acrylic paints, beads and wires. 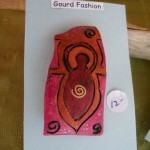 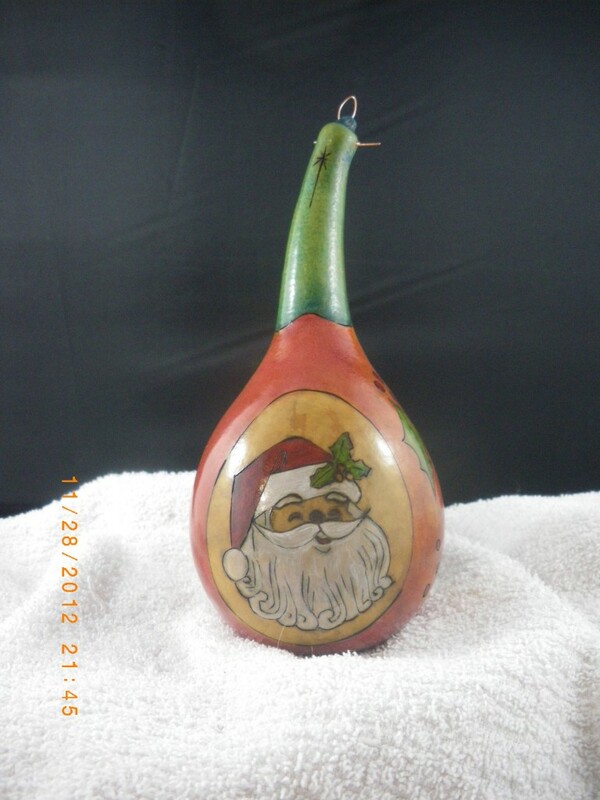 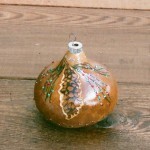 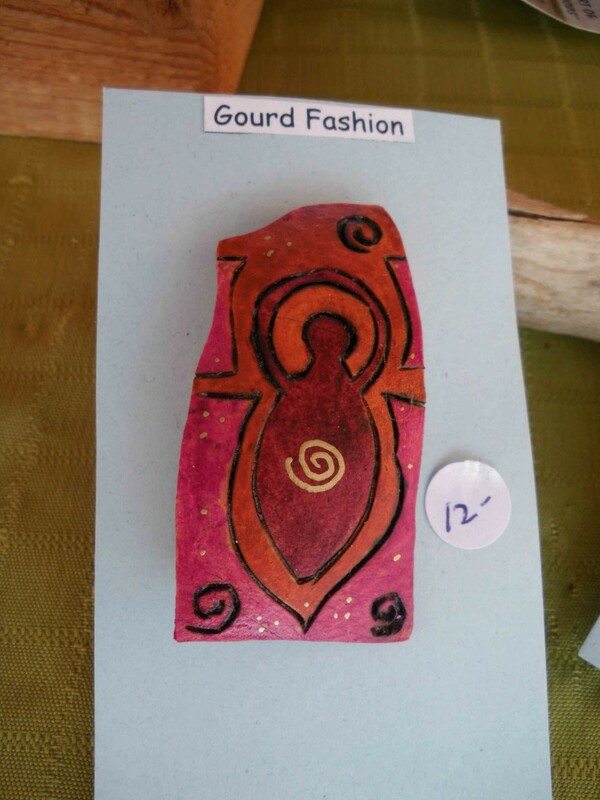 The bases are also from a gourd. 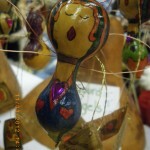 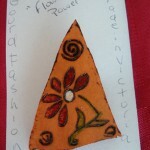 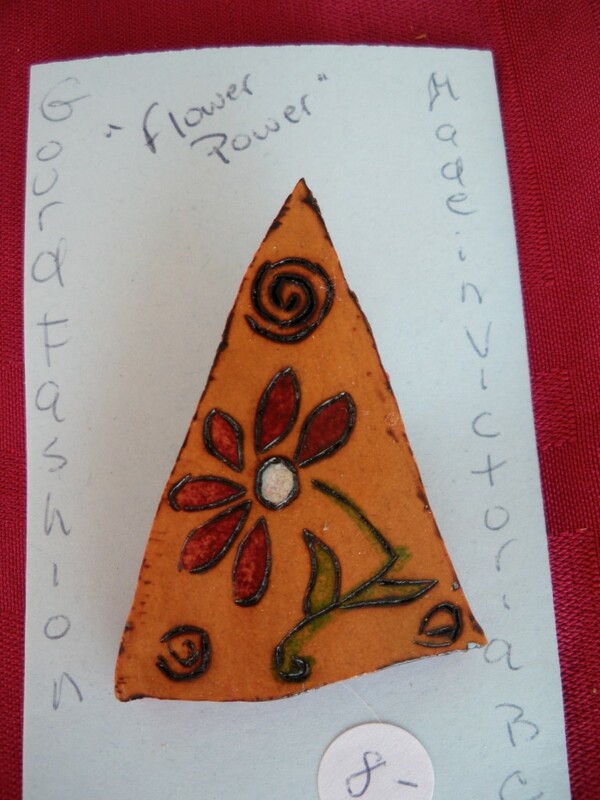 The pins are made from gourd scraps. 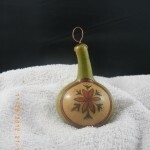 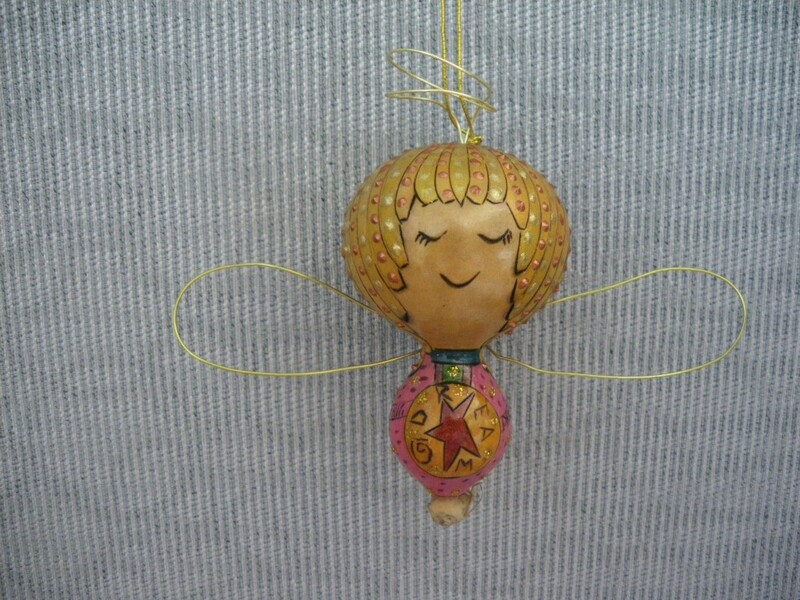 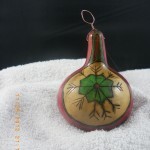 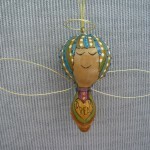 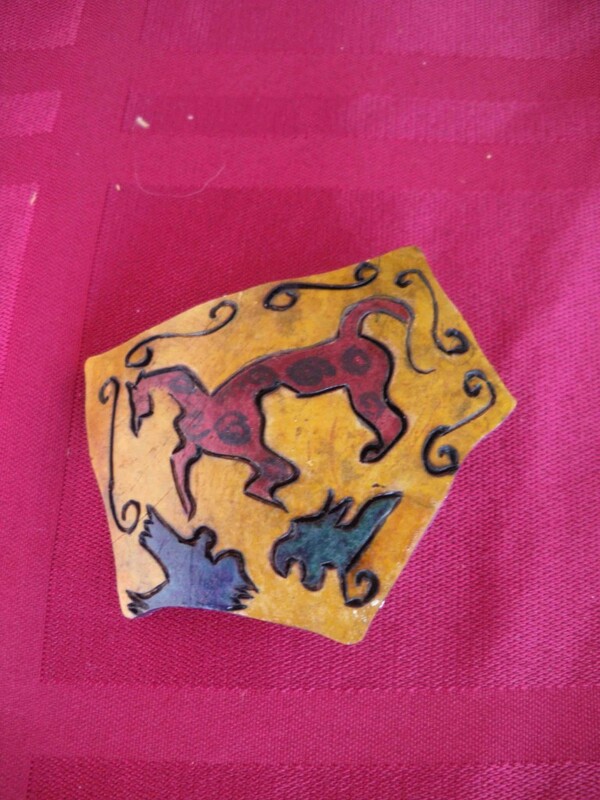 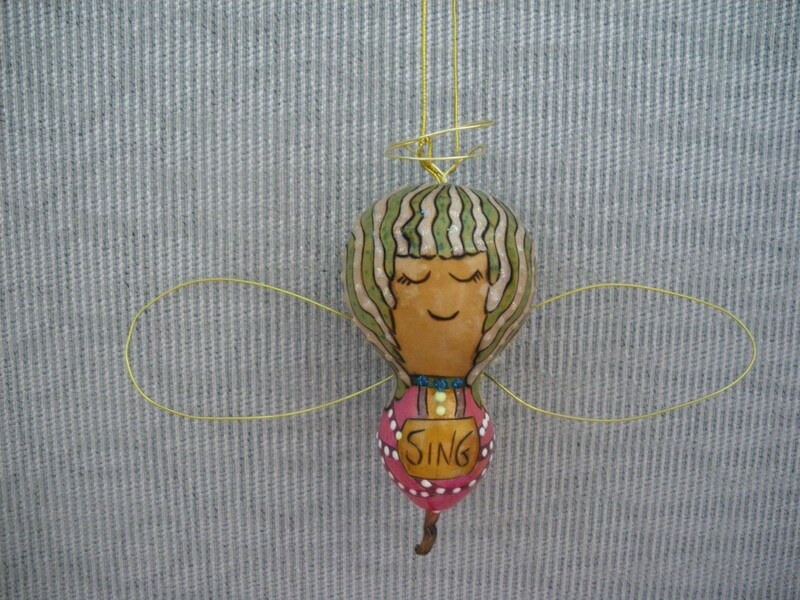 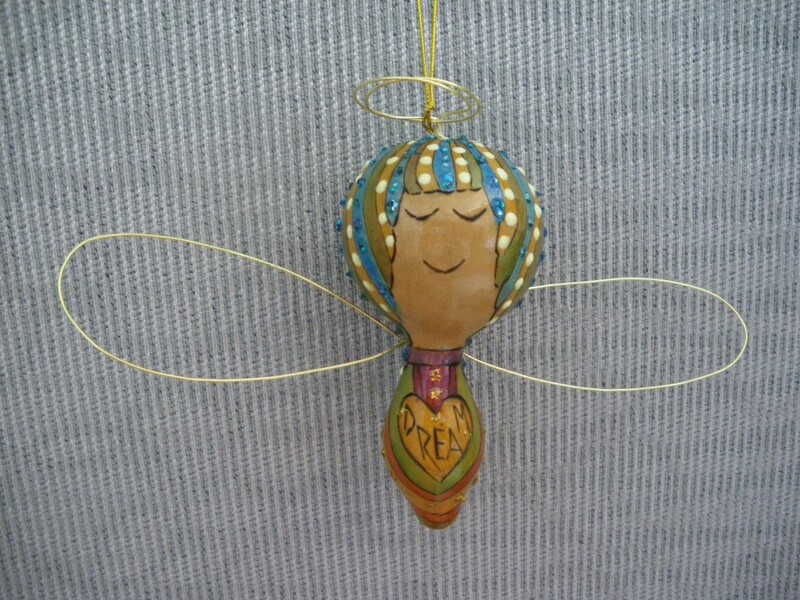 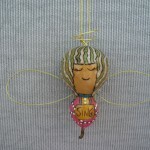 These can be used a purse decoration, a brooch, or decorations for the Christmas tree. 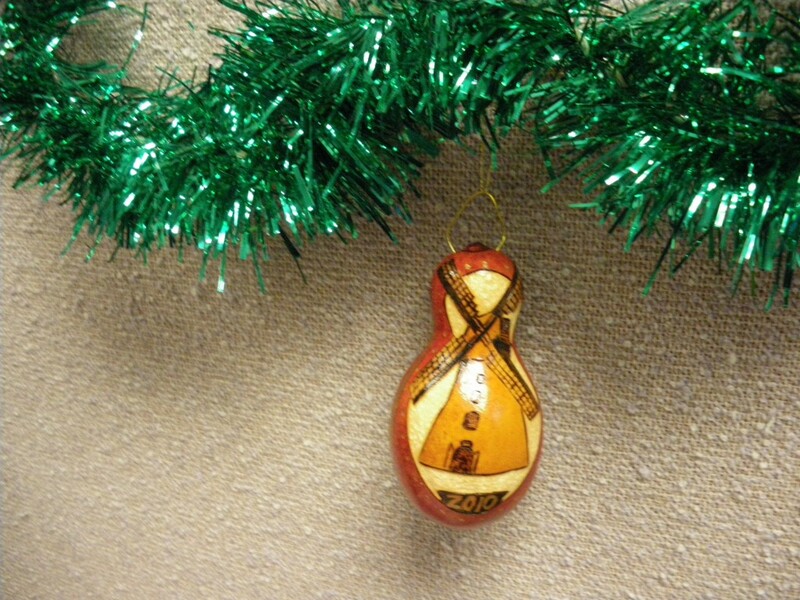 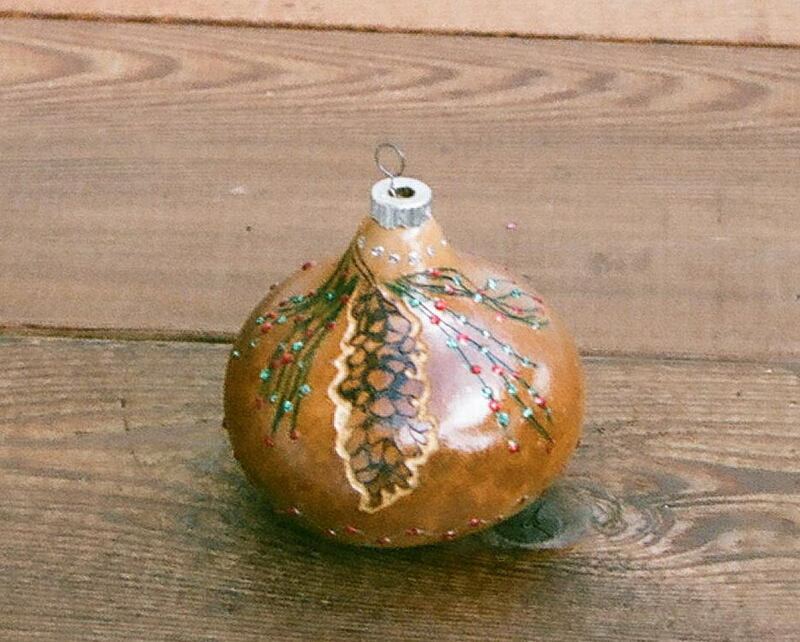 The ornaments are made from baby gourds. 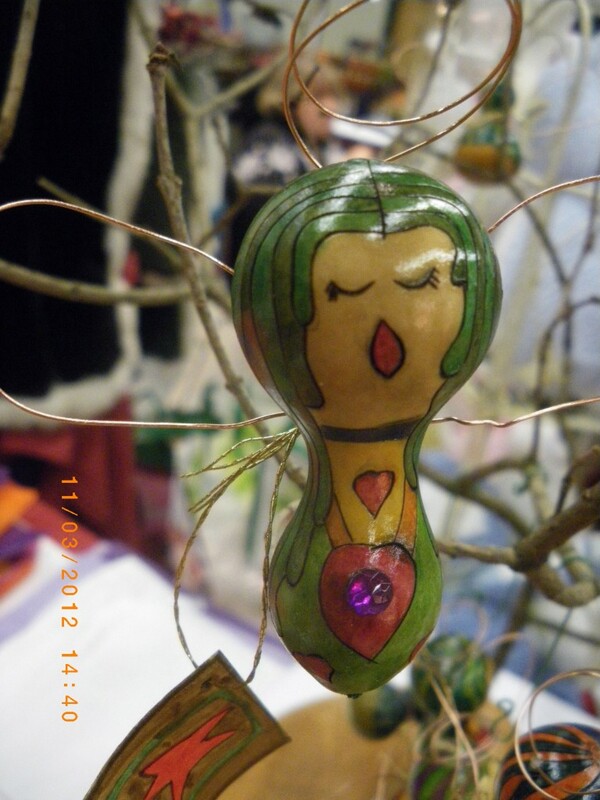 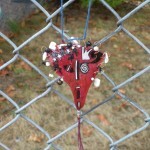 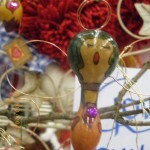 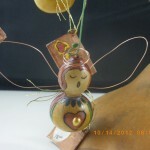 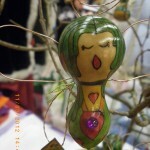 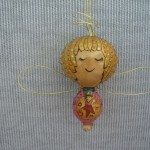 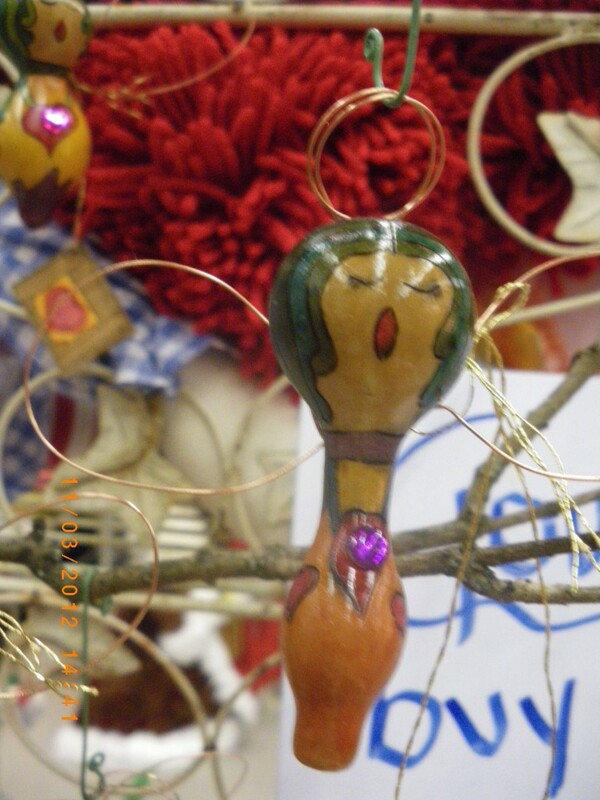 The angels are also made from mini gourds. 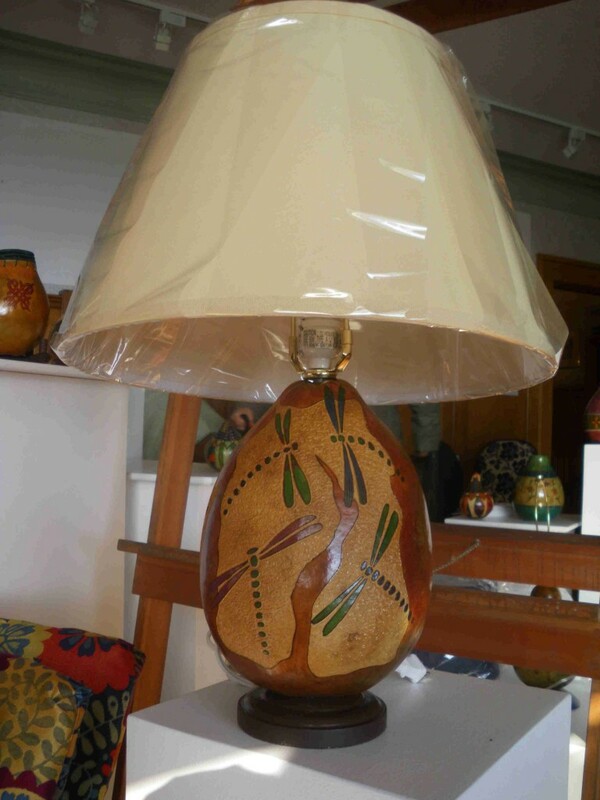 The lamps are made from gourds. 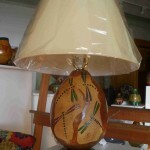 The lampshade and fixtures come from a lampshade store in Victoria BC. 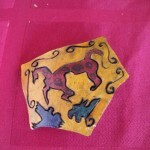 All of the designs are pyroengraved before colours are applied.